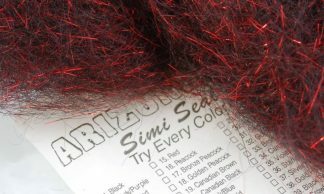 Home of the “Arizona” brand of tying materials including Simi Seal, Diamond Hair, Minnow Hair and more! 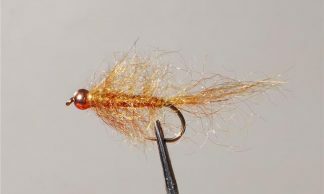 Back from the tying expo in Sandy. Store is open for business as are the lakes up here. Spring has sprung. 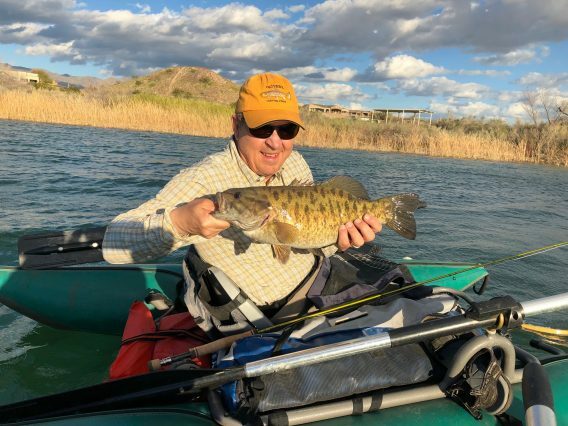 We finally had a decent day with little wind so a few of us hit Becker, my first trout fishing this Spring in AZ. Lake is full and the water is beautiful. 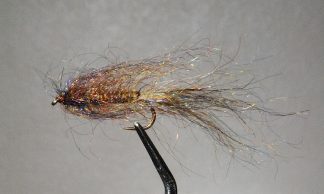 We all caught some nice rainbows, mostly on midges under an indicator. Not my favorite but you do what you have to do. No real monsters. 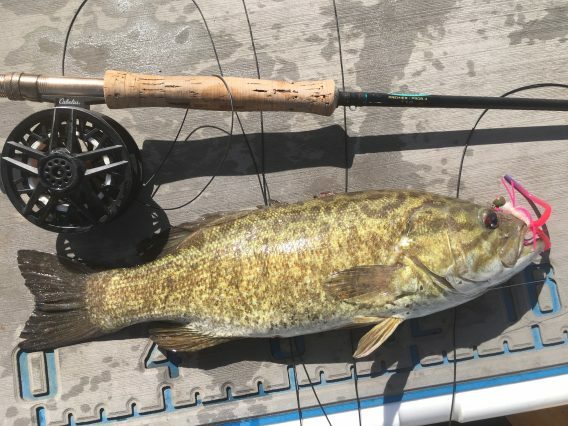 18″ was probably the biggest but strong fish and in great shape. Should be a good season…..water everywhere. 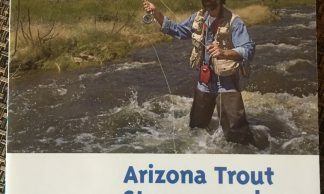 Pic above is Bob Bowers from Pinetop, a member of the flyfishing club up here and a WMLF Board member. 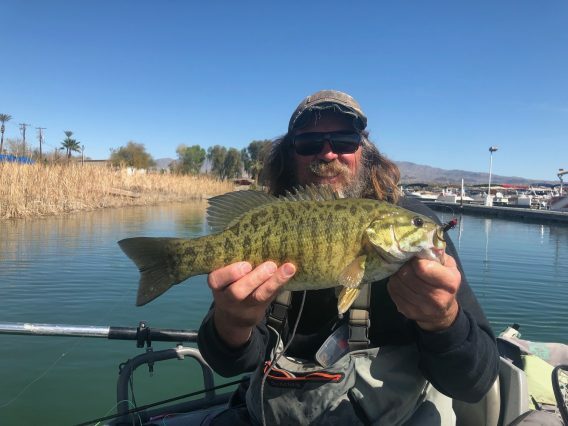 Tim and I hit Havasu Saturday for the afternoon bite and found the smallies a bit more playful and the wind not as bad as last weekend. 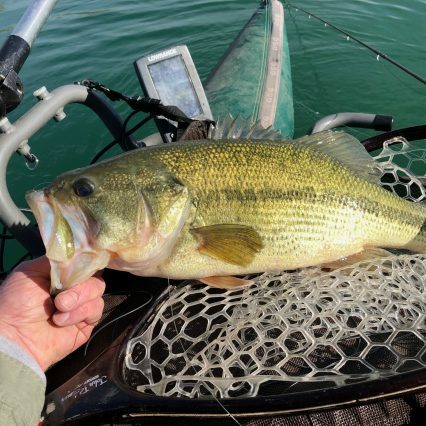 More beds, warmer water temps and less wind…can’t ask for much more than that. 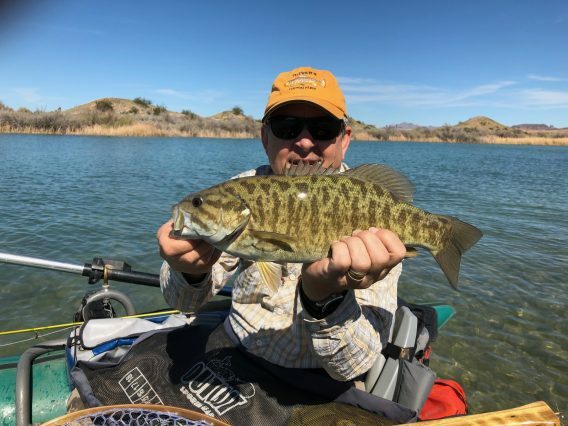 Tim had a nice afternoon landing 3-4 smallies. DW joined us the next day with even calmer water and more sun. 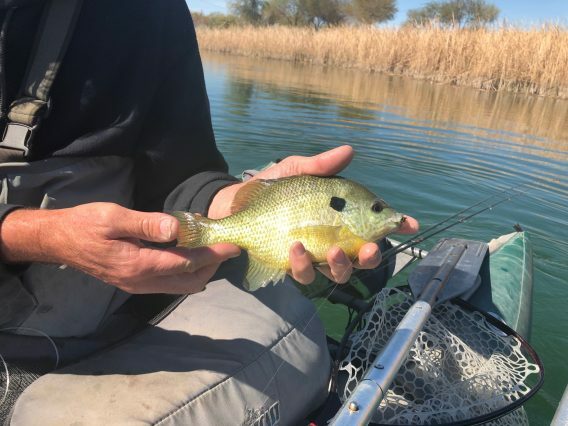 We caught about 20 fish between us all with bed fish flies. Tim left that afternoon and DW and I hit one of the marinas trying new water. 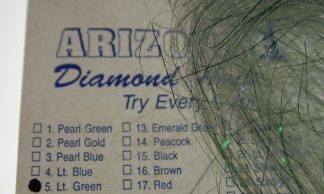 Good call! 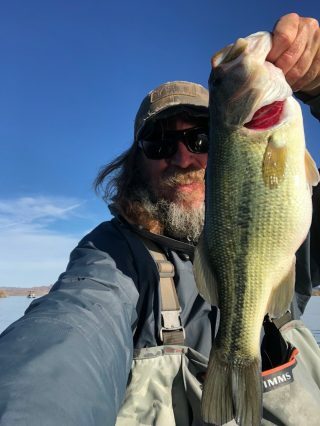 Getting a couple lmb’s at the end of the trip was a real bonus this early in a cold season. 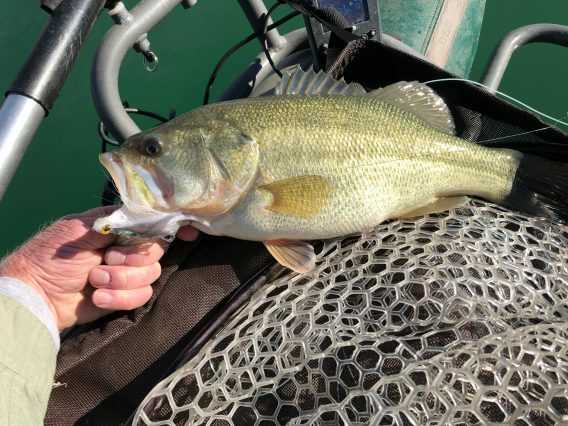 We saw plenty of big lmb’s cruising but not that many locked on a bed. 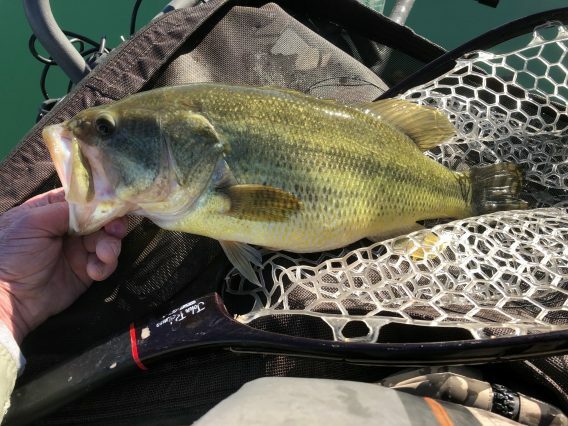 DW and I landed between 35-40 bass that day, all between 2-3.5 lbs….unreal! 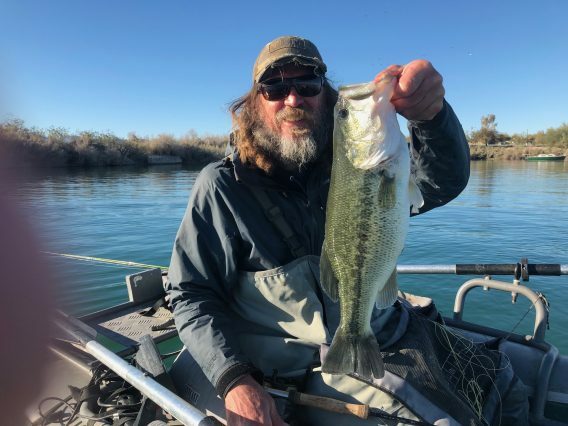 Phil Click joined us and fished a different area in his boat. 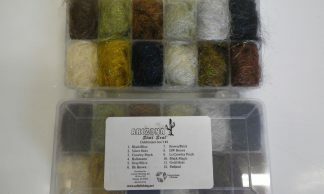 Here’s some pics from him. 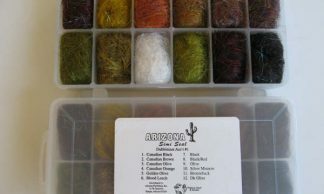 All in all another great early season trip to Havasu. May be the last time I get to hit it his season until maybe April for the redear. Plenty of water up here this year and lots of new opportunities. Can’t be everywhere. Nice to actually have choices this coming season. 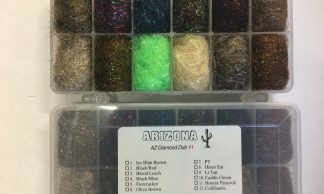 Trout, lmb’s, smallies, stripers…eenie meenie…. 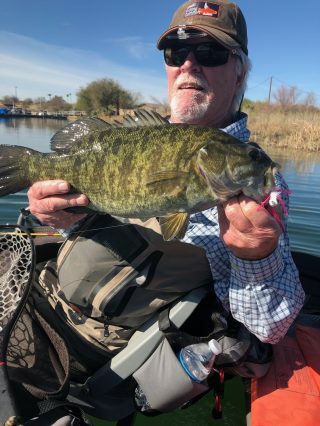 DW and I hit Havasu Sunday for a day, targeting bedded smallies. We knew it had been cold but the forecast was for warmer, calmer weather for the entire week. 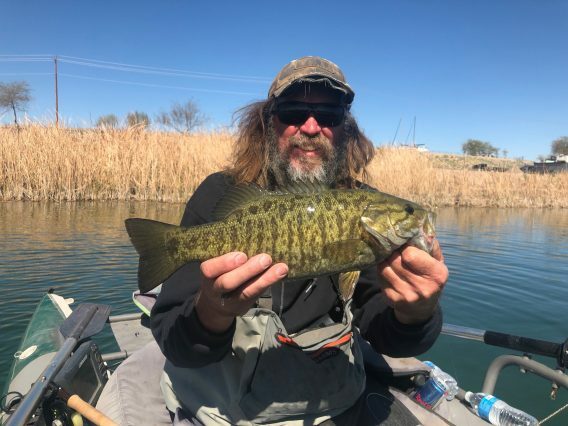 I have always found bedded smallies by March 1. 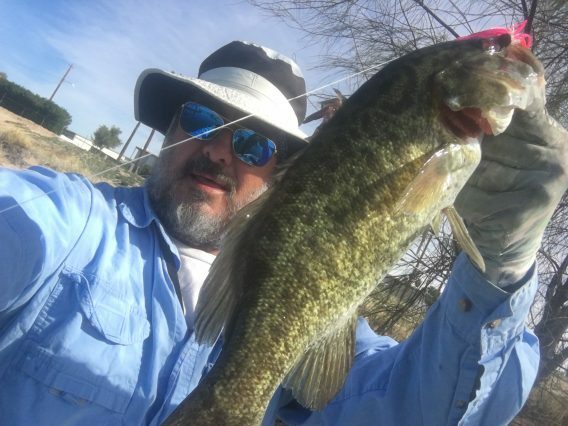 It was a little early but I had cabin fever and had to get out. After two hours of three of us shoveling snow, I was able to get my truck on asphalt. Two hours later I was on I 40 heading to Havasu. 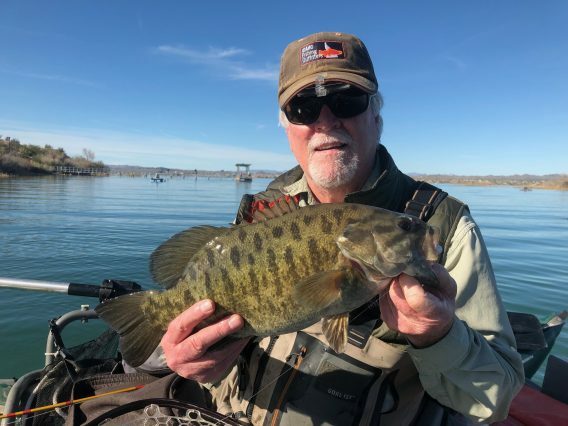 We hit the first spot we frequent for the smallies and found beds but the water temp was still 51-52…a bit too cold for them to comfortably stay on a bed. We were counting that the sunny, warmer forecast would bring them back in by the afternoon. About 8 the clouds thickened and a cold North wind hit and blew that plan up. Off to sight #2 that was a bit more sheltered and also holds bedders. 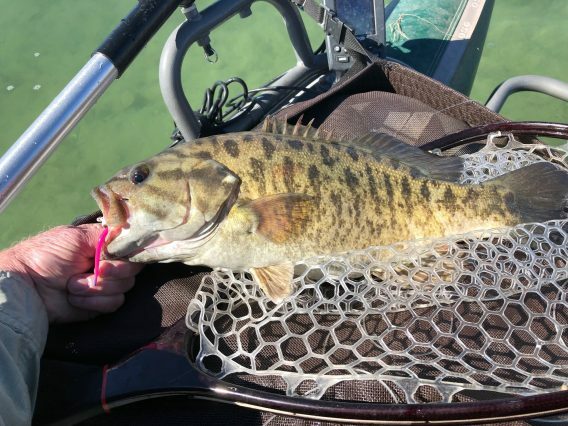 The water was warmer, 54 and the beds were there but again no smallies to be found…not even a cruiser…nada. 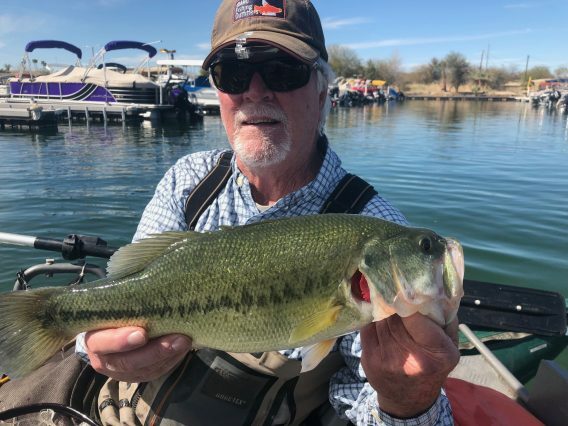 Havasu can really be a frustrating lake to fish. Sometimes it is as if there are nooo fish at all and then the next time they’re everywhere. 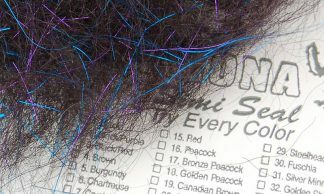 This unfortunately was the former pattern. It was about 1 in the afternoon by then and we had one small lmb DW got stripping at the first site. Pretty bleak for my 5 hour drive. 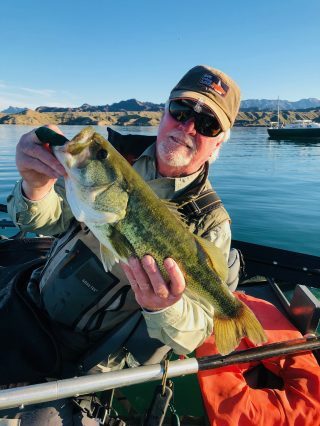 One thing about Havasu though is the drive is worth it for me just to fish it. To me, it is a pretty special place…quite challenging but if you get lucky and hit it right it is really rewarding. 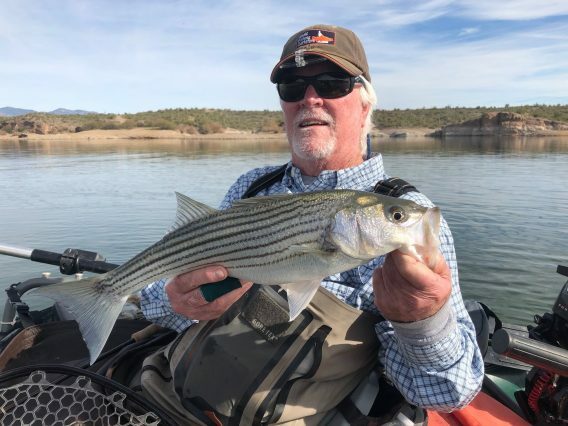 We gave up on the bedders and decided to grab the heavy sinking lines and go find some stripers. The forecast finally caught up with the day and it turned calm and sunny….thank you very much. We hit one of our usual spots and didn’t do much the first couple hours. 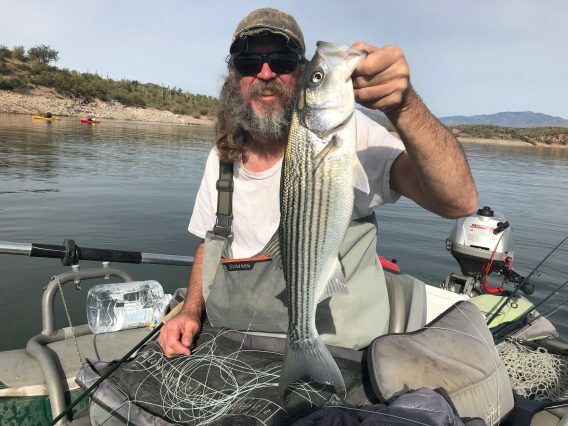 DW caught a couple small stripers but I was still stinking it up. 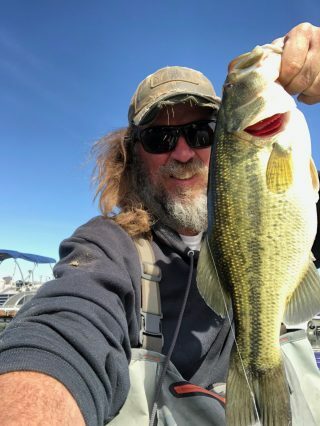 I hit a spot I had previously caught some good fish and picked up three nice lmb’s all 2.5 to 4 lbs. Wow, all of a sudden our day took a turn for the good. 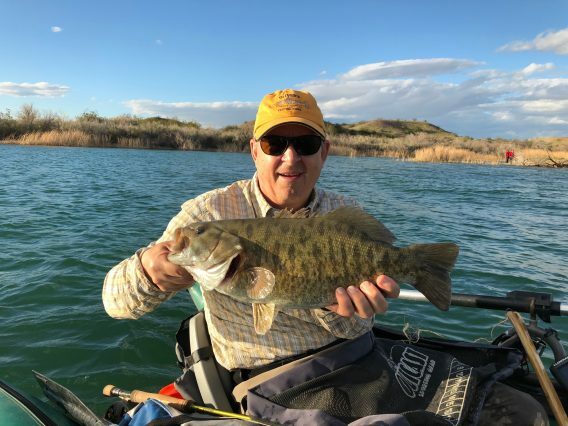 We ended up catching about 8-9 lmb’s between us and a smallie that DW picked up out main lake. 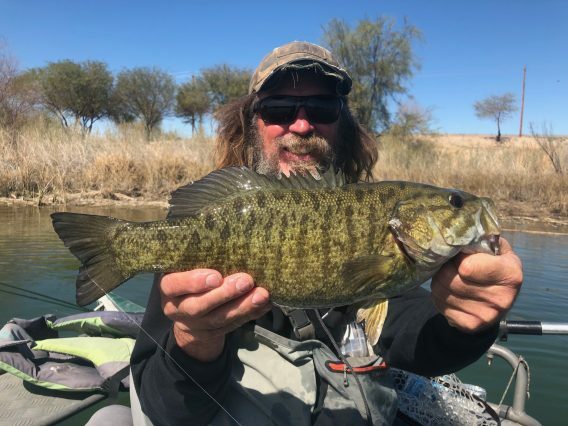 The day turned out to be pretty good and it points out the fact that more times than not…the original plan is not going to happen and you need go to plan B or C. All the fish were caught on big 5.5″-6″ Helmet Heads in shad color. 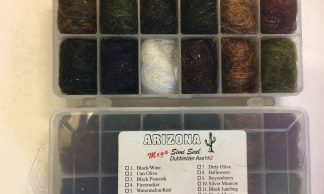 I was fishing a similar pattern in about a 3.5″-4″ and not doing much until I snagged two shad with it that were at least twice the size of my fly, so I switched to a larger fly and started hooking up. 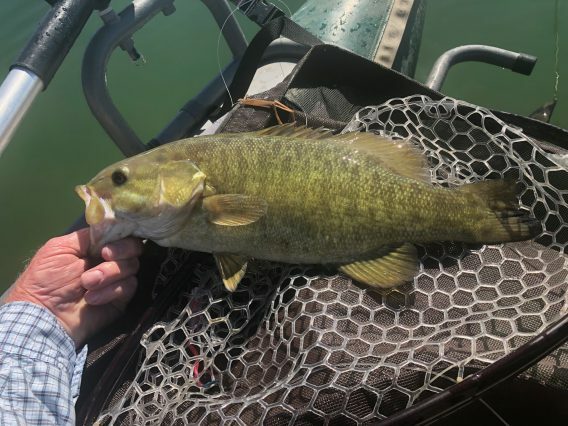 Another odd thing is we caught more lmb’s than smallies or stripers. 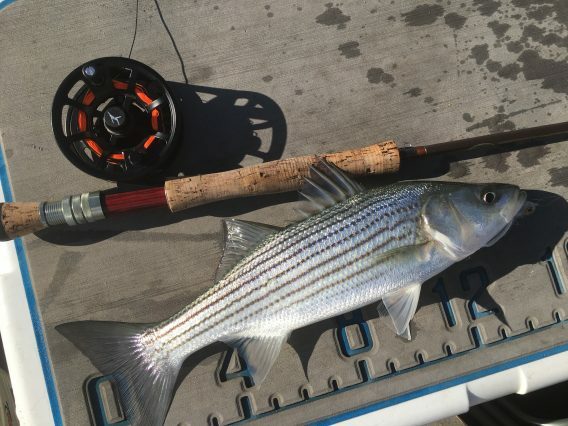 The stripers are supposed to be dummies that you can catch on any reasonable imitation. 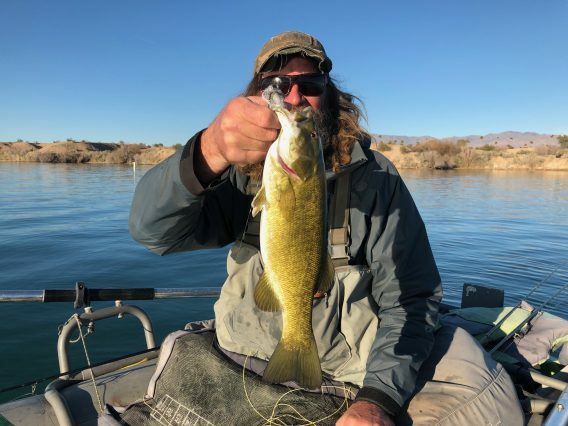 And the smallies are not that difficult when on beds but we ended up catching supposedly the hardest species of the three to fool. You just never know when you get out there what’s going to happen. 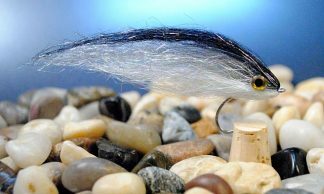 There are sooo many shad in the lake right now (and big ones ) that I think the stripers are just fat and sassy and feed when they want. 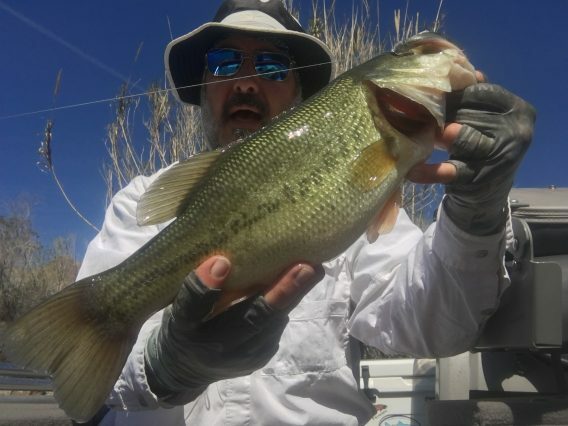 The lmb’s are really getting good size there too. 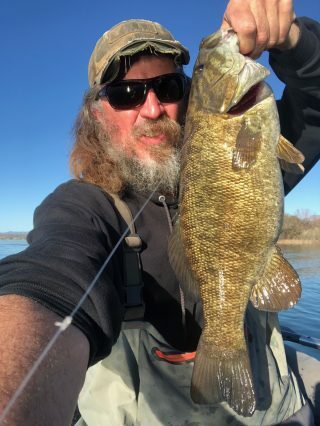 The smallies will be on soon and I’ll be back to go for them. 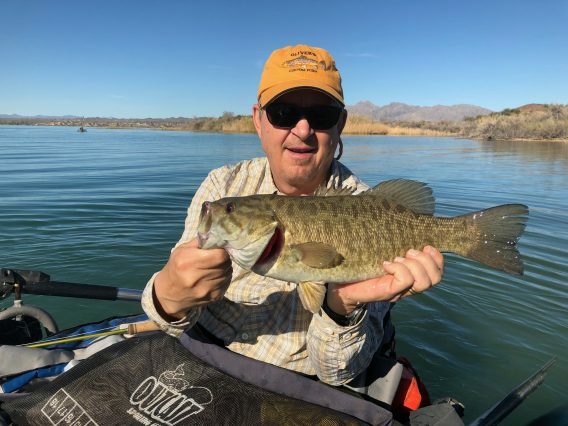 March is Havasu time. I think fishing up here is going to be late as well. But we definitely will have water….yeeaaahhh!